The tour supported her seventh studio album, Foreign Affair. 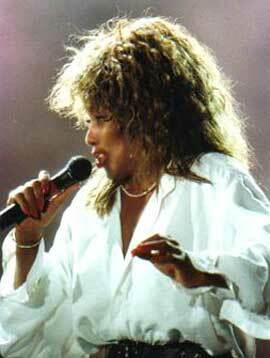 The tour was Tina Turner's first stadium tour and only reached European countries. Overall, the tour drew in nearly three million spectators--breaking the record for a European tour that was previously set by The Rolling Stones. The tour is notable as Tina Turner's only tour to not reach North America. 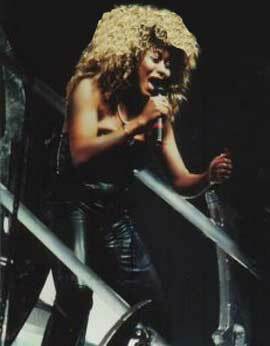 Since the tour was considered a farewell tour (at that time), Tina Turner wanted to exclusively tour Europe to thank her fans for supporting her career after she left The Revue. The tour also marks Tina Turner's final performances in Italy. "I've always thought this would be the final one but I must admit I now have mixed feelings. I'm the first woman to fill all these stadiums and the feeling from all those fans night after night was fantastic. I don't want to close that door completely. I'm going away for about a year and when I'm ready to return, I just hope the fans will want whatever I have to offer"
The groundbreaking tour was filmed at the Olympic Stadium in Barcelona, Spain and was released on VHS. 27 April 1990 - Sports Palace - Antwerp - Belgium - 12000 - S.O. 28 April 1990 - Sports Palace - Antwerp - Belgium - 12000 - S.O. 3-5 May 1990 - Palatrussardi - Milan- Italy - 9000 - S.O. 9 May 1990 - Palasport - Florence Italy - 7800 - S.O. 12 May 1990 - Scandinavium - Gothenberg - Sweden - 13000 - S.O. 14-15 May 1990 - Eishalle - Helsinki - Finland - 8000 - S.O. 17-19 May 1990 - The Globe - Stockholm - Sweden - - S.O. 20 May 1990 - Valle Hovin- Oslo - Norway - 35000 - S.O. 22 May 1990 - Gentoft Stadium - Copenhagen - Denmark - 30000 - S.O. 29-31 May 1990 - Waldbühne - Berlin - Germany - 22000 - S.O. 3 June 1990 - Waldstadion - Frankfurt - Germany - 50000 - S.O. 4 June 1990 - Niedersachsen Stadion - Hannover - Germany - 55000 - S.O. 6-7 June 1990 - Weseremshalle - Oldenburg - Germany - 10000 - S.O. 13 June 1990 - Football Stadium Linz - Austria - 40000 - S.O. 14 June 1990 - Vienna Stadium - Vienna - Austria - 50000 - S.O. 16-17 June 1990 - St. Jacob Stadium - Basel - Switzerland - 50000 - S.O. .
2 July 1990 - Tony Garnier Arena - Lyon - France - 17000 - S.O. 21-22 July 1990 - Stadium - Gateshead - UK - 12500 - S.O. 17 Sept. 1990 - Kings Hall - Belfast - Ireland - 5500 - S.O. 19-22 Sept. 1990 - Wembley Arena - London - UK - 11000 - S.O. Tina also allegedly played Fréjus, Nice, and Monte Carlo on this tour.